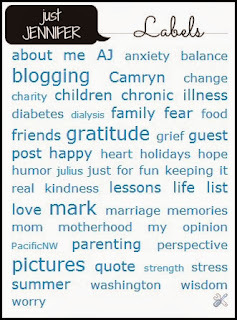 Dancing in the Rain: :It's World Gratitude Day! 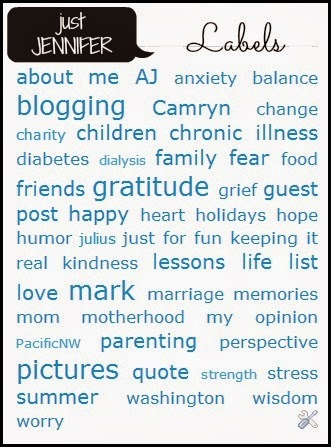 You can see from the topics I blog about most, that GRATITUDE is one of the biggest. 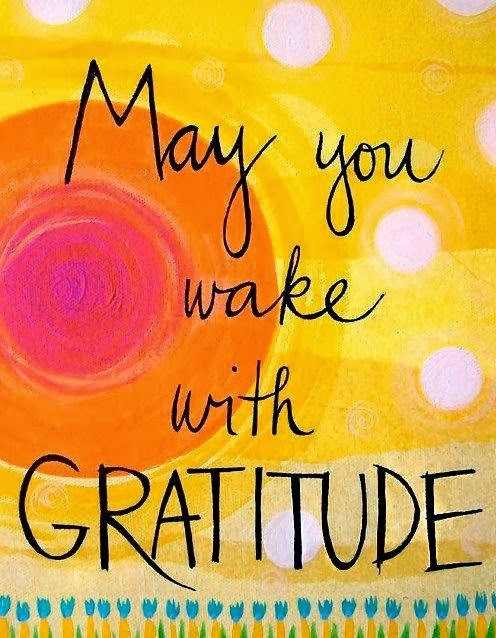 So how could I possibly let World Gratitude Day go by without a post? To me, having a grateful heart, or an "attitude of gratitude", is essential. Because if you can find reasons to be grateful, even in the midst of struggle, your burdens will feel lighter. You will gain perspective. Will be more positive and, I think, happier. 2. My friends - really good friendships take time and effort, but it's worth it. 3. Less clutsiness - For awhile there I was hurting myself every time I turned around. I could try to blame my bad eyes, but the truth is, I've had bad eyes for 20 years now and I'm not always as clutsy as I was being. I nearly killed myself running into, and falling over, the open dishwasher door. I STILL have a bruise and welt on my right shin. 4. Doctor Who - which has been keeping me amused and entertained this summer while all my other shows have been on hiatus. 5. Mark's foot - I am thankful that the sores my husband has been trying to get healed on his left foot are now, in fact, healed after about 11 months of weekly podiatry appointments. 7. Sleeping bags - I have a 7 1/2 year old little man who is still having a hard time sleeping in his own bed all night. But he is too big to crawl into our bed now. A friend of mine told me about what her parents did for her. They laid a sleeping bag on the floor next to their bed for her. I did this for AJ and he's doing better. Sometimes he comes in, lies down on the bag and then decides he'd rather go back to his bed. 8. My therapist - I feel I got so lucky finding him, that he's so close to my house. The man is like "Ninja Therapist" the way he subtly, simply just says something that triggers a light bulb moment for me. I've been seeing him for less than a year, but he was already helped me so much. So much. 9. The new Gmail setup - the way they have separated my emails into separate tabs is genius. Of course at first I was all WTF did you do Google? Just like how everyone freaks out whenever Facebook makes changes. But now that I get it, I like it! 10. My husband - The one thing I am always most grateful for is that stupid man I married. And right now, because his health is stable, he is doing some exercising (crazy!) and we are trying to see if he might still be able to receive a kidney transplant. I did not expect any of this just a short time ago. There is always hope. Of course also my children and my home and so many other things.....but this was a list of 10, so you know. When I told Mark about World Gratitude Day he asked, "Why isn't it just Thanksgiving?" Oh dear, "Because America isn't the ENTIRE WORLD."